Globe-trotting food lovers may be aware of the gastronomic revolution that’s been underway in the Nordic countries for the past 15 years, but this important European culinary trend remains surprisingly under the radar. That is chiefly because it’s difficult to translate the New Nordic cooking style to kitchens outside Scandinavia, since it is inseparable from seasonal and regional products not easily found elsewhere — musk ox, for example. The New Nordic movement was born in 2003, when the Danish food entrepreneur Claus Meyer and chef Rene Redzepi — he’s Danish-born but has a Macedonian father — opened noma in an old warehouse overlooking the port of Copenhagen. Redzepi already had extensive international experience, having done stints with Ferran Adrià at elBulli in Catalonia and Thomas Keller at the Napa Valley’s French Laundry, but he was immediately attracted to the idea of creating a Nordic kitchen based on the traditions of Scandinavian food. This is heavily reliant on smoking, curing, pickling, drying and other methods of preservation and a fresh exploration of the culinary possibilities of all of the region’s seafood, game and produce, from the Baltic coastline to the Arctic tundra and the Norwegian fjords. The personality of New Nordic cooking shares a lot with traditional Japanese cuisine, being clean, fresh, light and subtle. “What we found once we started investigating our own environment with fresh eyes is that nature in the Nordics is much richer than we knew. There are so many incredible wild foods in Scandinavia, and we wanted to bring them into the kitchen and explore their possibilities,” Meyer said, explaining the genesis of New Nordic cooking during a recent interview on Danish television. Beyond the starring role of Scandinavian produce and the tastes of the traditional Nordic palate — smoke, salt, lactic flavors and fermented foods — the personality of New Nordic cooking shares a lot with traditional Japanese cuisine, being clean, fresh, light and subtle. Keen to make New Nordic cooking better known overseas, Meyer has opened two restaurants in New York City, both of them at Grand Central Terminal. The Great Northern Food Hall features casual dining, while Agern offers a more elaborate and refined interpretation of this food, including dishes like sea bream with celeriac, brown butter and lojrom (fish roe), and pork shoulder with horseradish and sorrel. For anyone heading to Scandinavia, however, here’s our list of the top five New Nordic restaurants not to miss. A leading exponent of New Nordic cooking, chef Björn Frantzén won his third Michelin star this year, his eponymous restaurant becoming the first in Sweden ever to receive this ultimate accolade. After culinary school, Frantzén worked as a chef in the Swedish army and then did a stint at Chez Nico in London before returning home to open his own place. His intricate tasting menus change daily and run to exquisitely conceived cameo dishes like those we sampled at dinner one night this past spring. Among the most memorable were bluefin tuna marinated in yuzu and served with slices of purple radish, Japanese ginger, olive oil and preserved-tomato water; a plump Norwegian langoustine sautéed with puffed rice; French toast stuffed with caramelized onions and Parmesan custard with a black-truffle garnish; and Swedish spring lamb with baby vegetables and a matsutake mushroom aioli. This was a unique, sensual and profoundly Scandinavian meal of real sophistication. 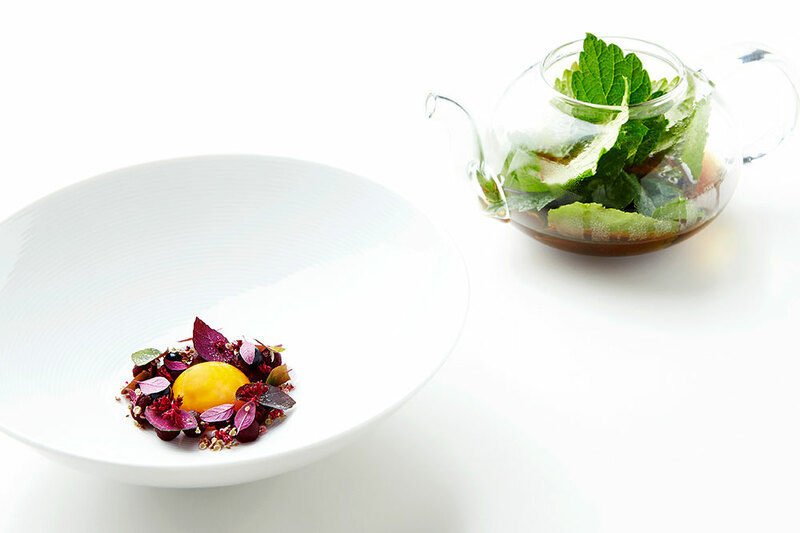 After training in the kitchens of Copenhagen’s Hotel d’Angleterre, as well as in Belgium, chef Rasmus Kofoed opened Geranium in 2007 in the Rosenborg gardens. The restaurant moved to somewhat unlikely quarters on the eighth floor of the city’s Parken soccer stadium in 2010 and won its third Michelin star in 2016. Kofoed’s tasting menus evolve constantly to reflect his newest ideas and the best local seasonal produce, but dishes like an hors d’oeuvre of lobster with walnut mayonnaise, milk, rye vinegar, fermented carrot juice and sea buckthorn; pickled yellow beets with vinegar gelée, smoked yogurt juice and beach-plant oil; and slow-cooked Danish pork neck with baby cabbage leaves, pickled garlic, pine oil and black-currant leaves with pork jus show off the chef’s ability to be earthy and elegant at the same time. English-born chef Paul Cunningham has been cooking at this 18th-century red-brick inn with a thatched roof since 2012. 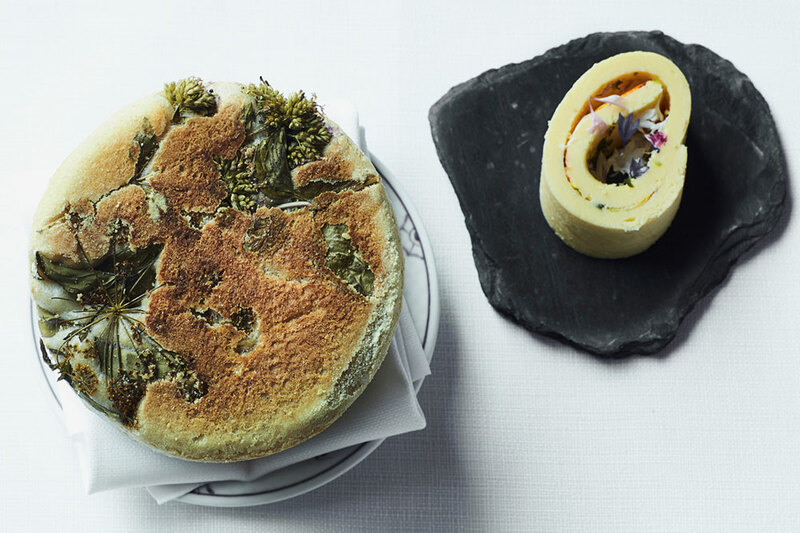 He won a second Michelin star for his personal interpretation of the foods of the Jutland countryside in 2017, and his tasting menus follow the seasons. The last time we dined here, highlights of the menu included a buttered crumpet with local lobster; turbot with leeks, brown butter and caviar; and lamb with garlic and eggplant and rhubarb from the hotel’s garden with ginger ice cream. Service was excellent, and there’s an unusual and unexpectedly good Danish red wine worth trying on the wine list, Rondo “Tristan & Melot” from Stone Grange in Fredensborg. 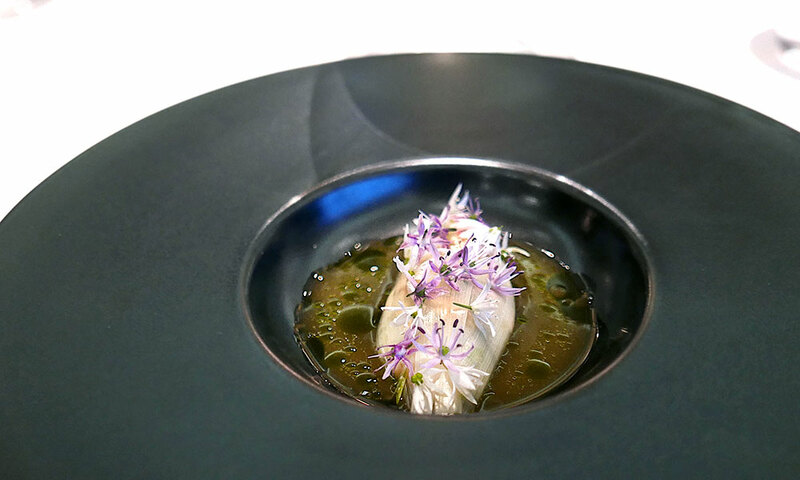 The only restaurant in Norway with three Michelin stars is an intimate eatery with only eight tables run by Danish-born chef Esben Holmboe Bang. 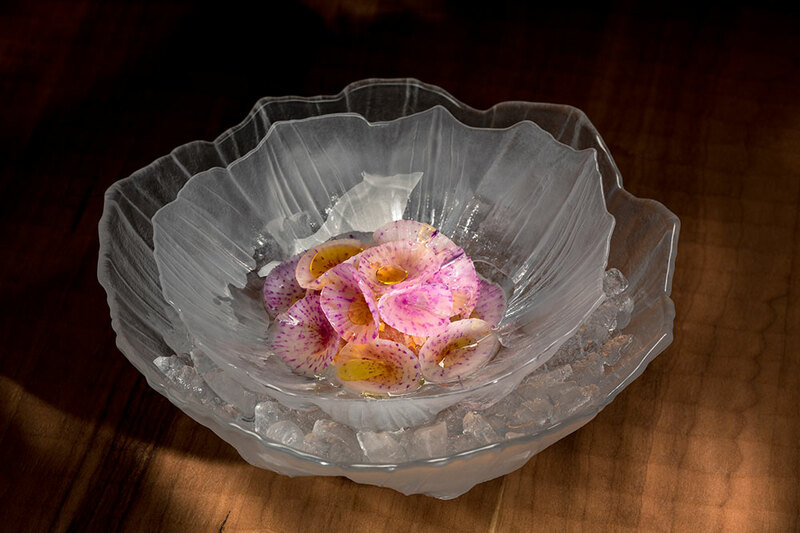 Maaemo, which opened in 2010, means “Mother Earth” in Old Norse, and this is a reference to the intensely locavore (seasonal local produce) approach of the cooking here. Depending on the menu — which changes often — more than 85 percent of the produce is organic and comes from small farms within a 60-mile radius of Oslo. Given Norway’s short growing season, this may sound limiting, but Norway’s spectacular seafood and dairy goods star in many dishes. Standouts from a recent meal included a king crab “taco”; trout tartare with sour cream and horseradish, barbecued leeks and a lettuce jus; raw scallops with salsify purée and smoked cream; and brined mackerel in a sauce of apple brine and garlic oil. The service is impeccable, and the wine list is superb. 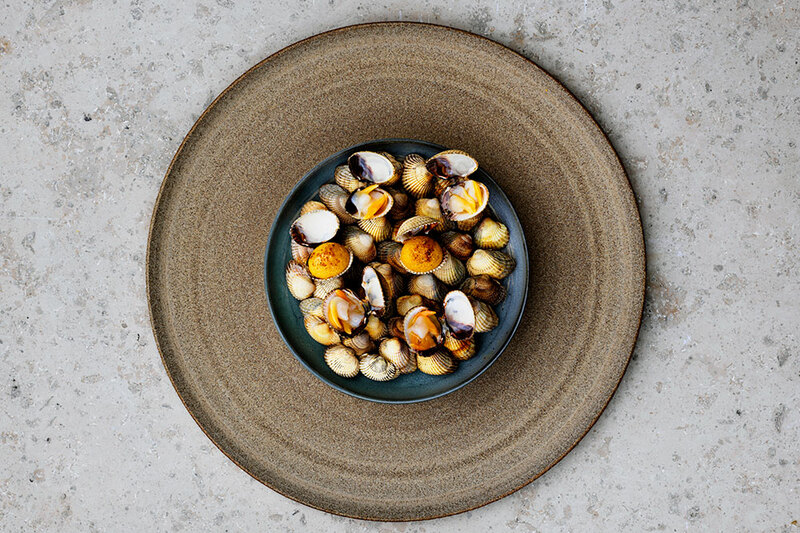 The reopening of noma (it closed temporarily in February 2017), in newly built premises designed to resemble a traditional Danish fisherman’s shed, is the most talked-about gastronomic news of the year from Scandinavia. 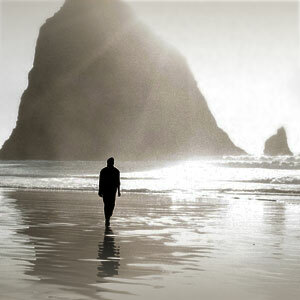 And with only 42 guests per service, it remains one of the world’s most challenging restaurant reservations to land. Before you take this on, however, you need to know that a meal here is a prix fixe tasting menu of small plates that are intended to challenge both your palate and your imagination. Or, in other words, if you’re hankering for some foie gras and grilled sea bass, this might not be your kind of place. On the other hand, if you’re willing to sample sea cucumber gonads with sea cucumber skin, dried mussels and horseradish cream, you might find this meal intriguing. To be sure, not all of the tasting-menu dishes are quite so extreme: The Danish blue mussels with smoked butter were succulent and delicious, as were scallops and mahogany clams with a variety of garnishes. But noma does have its very own ant farm to supply the kitchen with the ants that figure in some dishes, and ultimately, a meal here can be a testing experience.